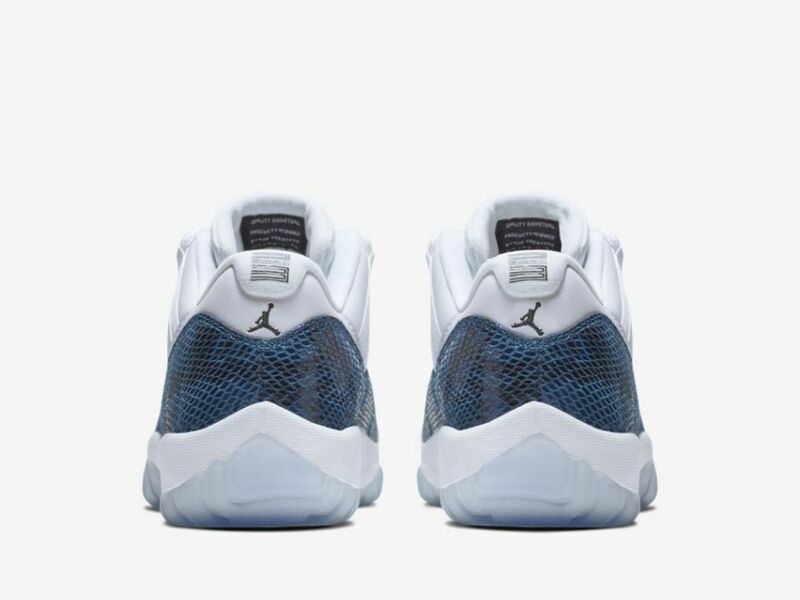 "Blue Snakeskin" Air Jordan 11 Low confirmed for 4/19 release. 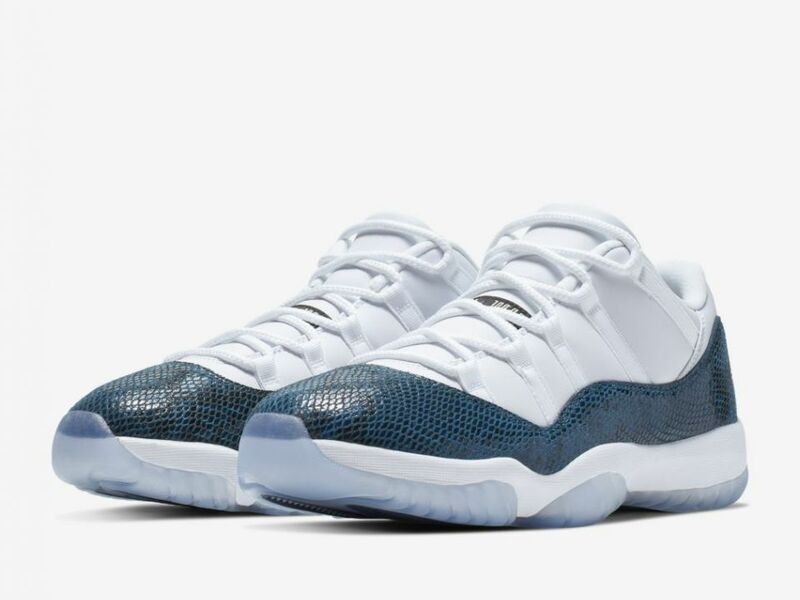 Among the many highly touted Nike and Air Jordan sneakers set to arrive in April is the Air Jordan 11 Low "Blue Snakeskin." The eye-catching kicks first debuted back in 2001, but they're now officially slated to return on Friday, April 19. Photos of the snakeskin 11 Lows have been circulating for weeks but today we have official images from Nike, showing us exactly what to expect when they slither into retailers across the country. 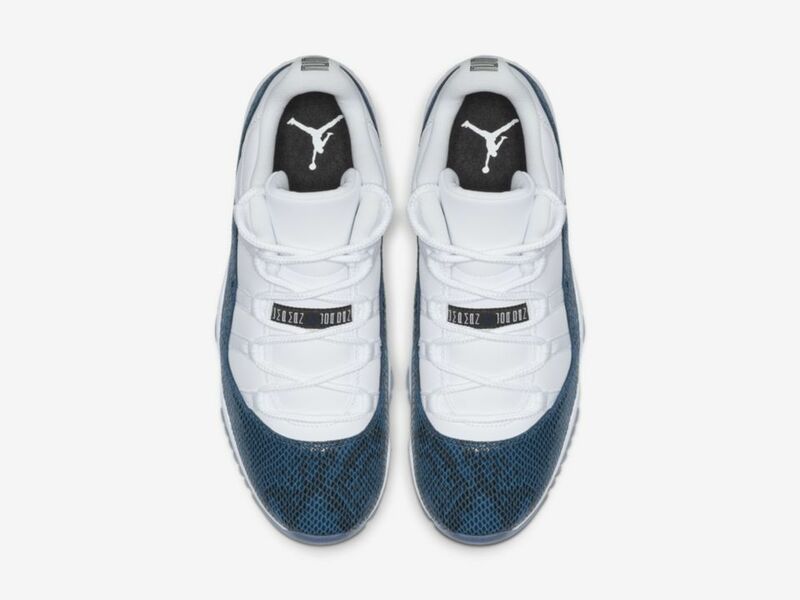 Styled just like they were in '01, the 2019 rendition of the "Blue Snakeskin" Air Jordan 11 Low consists of a white leather upper with a dark blue snakeskin in place of the traditional AJ11 patent leather. In addition to "Blue Snakeskin" Air Jordan 11 Low, Jordan Brand will also be releasing the "Light Bone" colorway as well as a vibrant "Pink" iteration featuring the same reptilian detailing. 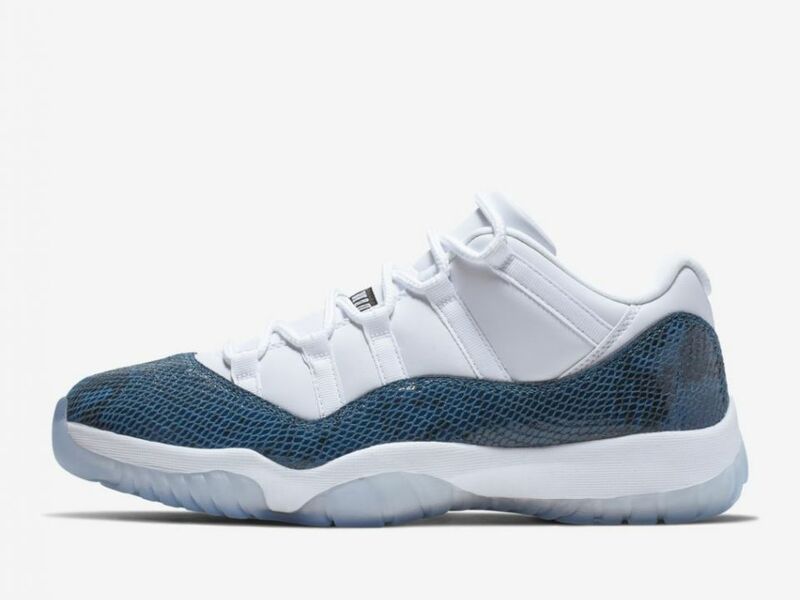 Check out official images of the Air Jordan 11 Low "Blue Snakeskin" below, and mark your calendars for April 19.